Background This study reviews recent trends of HIV inpatient admissions over 5 Infectious diseases Units in Liguria, in 2012. 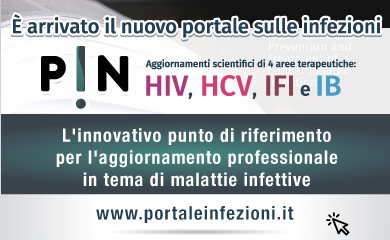 Patients and Methods: Five infectious diseases Units in Liguria, Italy, collected data on inpatient HIV admissions from January to December 2012, including patient demographic, discharge diagnosis, CD4 T-cell count, viral load (VL) and combined anti-retroviral treatment (cART). Results: Rate of patient admissions per 100 years was 6.12 (number=257), in 62.6% (n=161) of admissions a VL under 50 copies/ml was observed. Furthermore, 86.4% (n=222) of admissions were on active cART. Median age was 49 years. Mortality rate was 10.2%. Hepatitis C coinfection occurred in 64.6% of patients (n=166). The most common diagnosis was infectious diseases (29.1%), respiratory diseases (16.6%) and neoplasms (15.%). Chronic HCV infection and its complications (cirrhosis and hepatocellular carcinoma) accounted for 31% of all discharging diagnosis. Conclusions: The majority of inpatients admitted during 2012 in our Units were on cART and virologically suppressed. The complications of hepatitis C coinfection have a major impact on mortality rates and hospitalization rates in Italy. According to these observations, the availability of new drugs for chronic hepatitis C imposes a further effort to improve the quality of life of our patients.